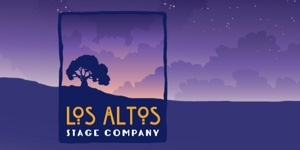 Los Altos is not selling parks. 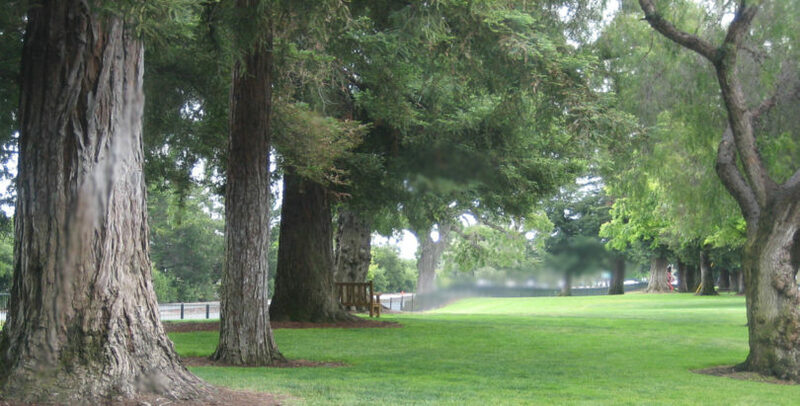 Actually it is acquiring parks - shown is Lincoln park, recently purchased from the County. 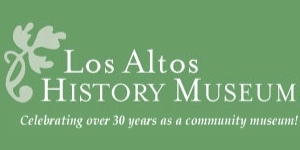 At its May 22, 2018 meeting, Los Altos City Council considered what to do about the “Save our Parks” parks ballot initiative. The decision was that the first step was to order a 9xxxx report — a staff/attorney report which will analyze the effects and costs of the proposed SoP amendments to our general plan, a proposition which is 15 pages of complex and opaque language. 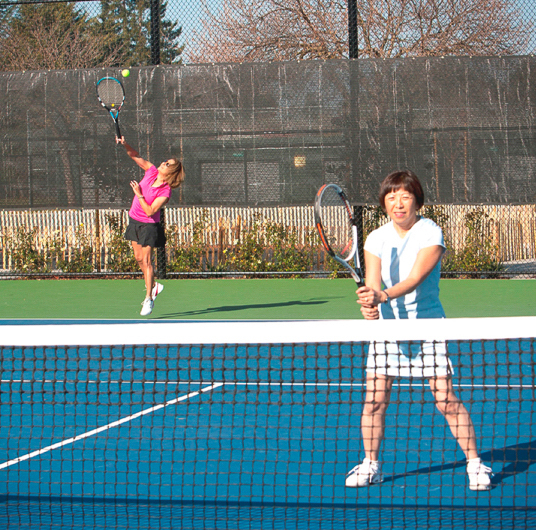 People need to know how the proposition truly affects their current and future park amenities. Here are hundreds of people enjoying a Shoup Park event. Within about a month, council MUST put SoP — the parks ballot initiative — on the November ballot because the sponsors successfully gathered the “required” 3000 signatures in an unusually short 3 weeks!. [Kosher or not? ]. Here’s a speed comparison. 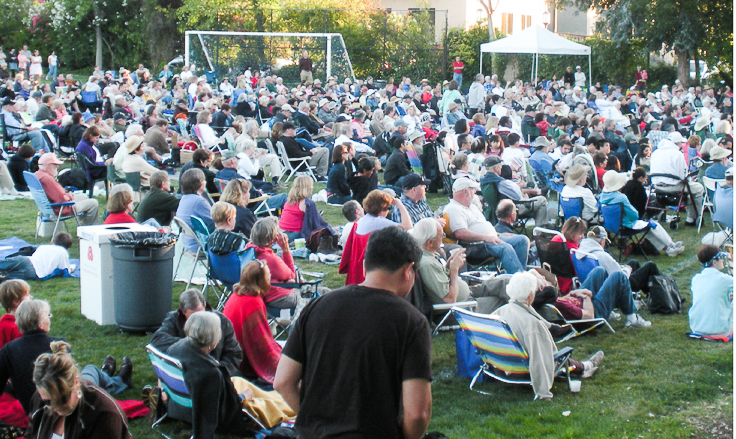 In 2016 the Cupertino Anti-Vallco proposition supporters required about 8 weeks to gather their 3000 signatures; Cupertino and Los Altos have approximated equal populations – 30,000 – and registered voters, 20,000. Hmmm? Last night City Council, besides ordering a 9xxxx report, directed staff to start investigating the timeline for putting a potential Council-sponsored “competing” referendum on the November ballot. Lalahpolitico: It would Simply Save our Parks (SSoP) and NOT do the other tricky stuff the other initiative APPEARS to do — screw up flexibility of future city leases; prevent implementation of most Downtown Visioning recommendations. 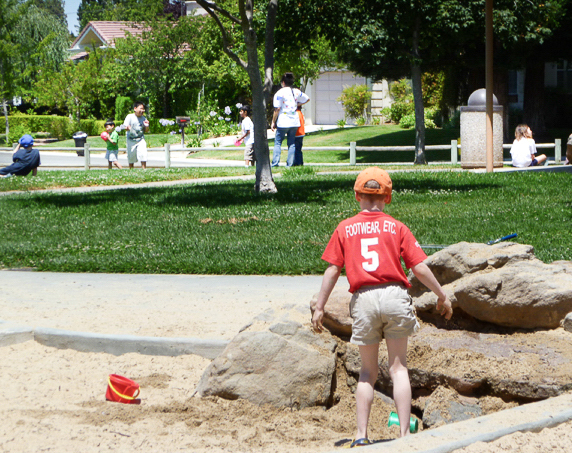 Parks are for people. Not just for trees. Trees and people can share spaces. 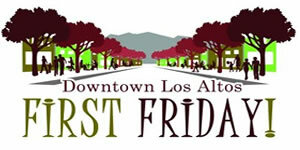 Effects on City leases for Fire, Los Altos Stage, History Museum, etc.? At the May 22 meeting, the city attorney Chris Diaz said that the SoP parks ballot initiative is not retroactive, therefore existing leases would not be affected and could run their course. He continued on to say that the SoP language about “vested interests” (the common usage is to apply to developers being able to count on their building permits being grandfathered) and about “ongoing activities” is vague. Diaz invited the proponents to come into city offices and explain their “intent.” Proponents have claimed in the Los Altos Town Crier that their SoP does not affect current tenants now or in the future. Diaz warned that it appeared — before further study — that under SoP as written, a change in “ongoing activity” or in the particular tenant performing an activity, or in the major terms of a new lease with a current tenant, could conceivably trigger the requirement for a popular vote. Furthermore, if the language of the General Plan were to be amended per SoP, some different group of citizens in future decades might have a very different view of the intent and meaning of the language than the current proponents. Costs in time and money of popular vote? Council members Jeannie Bruins and Jan Pepper expressed concern that before moving forward with desired changes and improvements to city-owned land, the city would have to make a trade-off between a) waiting up to 2 years for a cheaper ($50K ?) general election, and b) calling a special election ($500k?) but getting a popular vote done in 6 months. 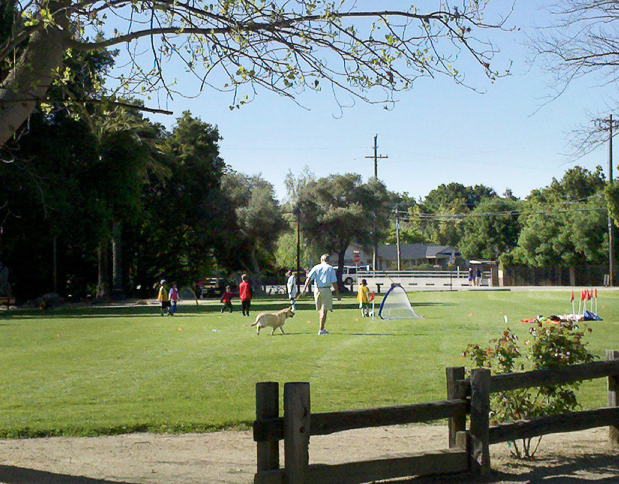 Don’t the majority of residents want somewhat more improvements on parks and public lands, not less? Lalahpolitico opinion: Changes on downtown parking plazas – for example, more parking or less parking or alternate uses — seem to require a popular vote under a SoP parks ballot initiative regime. And workforce housing on a plaza? Not gonna happen with an as written SoP in place. There are so many pre-conditions in SoP. For example, SoP says a pre-condition for workforce housing on city-owned land is that it be ’Demanded by State Housing law, or forced by RHNA.’ But the State does not demand such things in this way. Instead, there are incentives and disincentives, no ultimatums. Furthermore, there are now ZERO city-owned sites “identified in the general plan for future housing development.” [Sites on the spreadsheet which shows the inventory of potential housing sites in the Housing Element Chapter include zero city-owned sites. ] 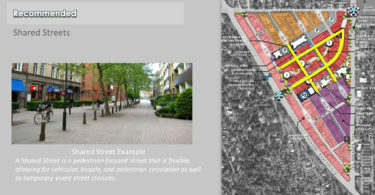 With all these phony pre-conditions and false flags written into SoP, the Council will NEVER be able to make the SoP “finding” to convert a plaza to workforce housing without a popular vote. 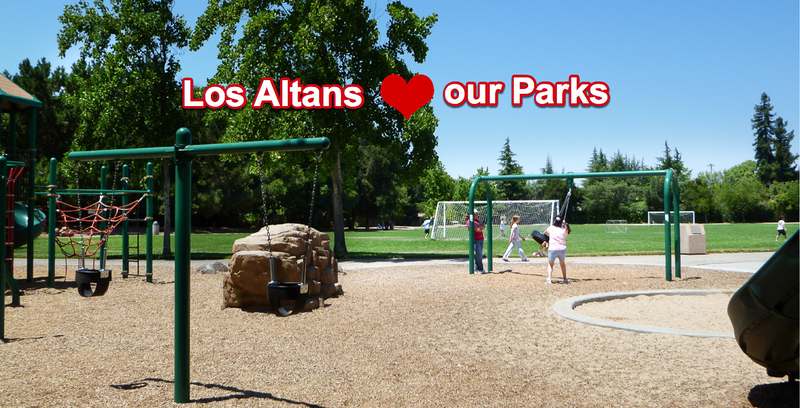 Los Altans are seeking parks with active amenities to enhance their health and longevity. 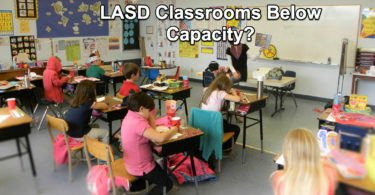 We want open space but usually with amenities to activate the space. 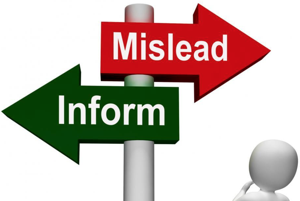 Feeling Misled by signature gatherers? Want to Rescind your signature? 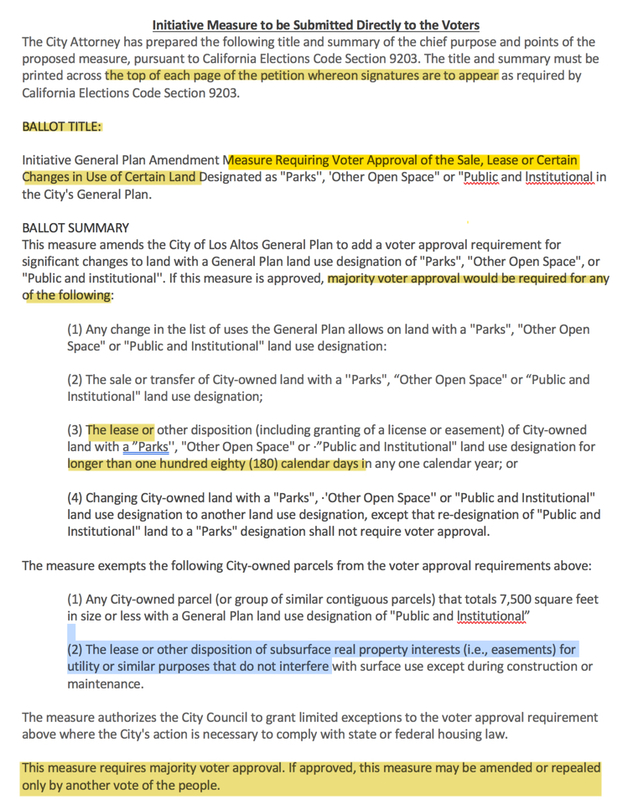 If the City gets 1000 emails, it might ask the County to reverse the certification of the SoP parks ballot initiative. I wish to rescind my signature on this petition. I did not see /or I did not fully understand the BALLOT TITLE or BALLOT SUMMARY on the page I signed. I have learned more about the proposition and now have concerns. The signature gatherer did not adequately explain its effects. Your Name as you wrote it on the petition signature page. Your Address as your wrote on the petition signature page. Lalahpolitico: If you were a SoP petition signer, you should have seen the below language printed on top of the page you signed. It is the mandatory impartial title and summary.